Hello explorers! have you heard of Asia’s longest road tunnel before, yes guys you heard correct it’s Asia’s longest road tunnel. 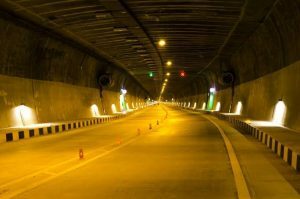 The road tunnel is Chenani-Nashri road tunnel constructed between Jammu & Srinagar highway in India. 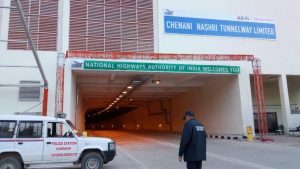 So, today I will be sharing my experience and top 8 amazing facts you must know about Chenani-Nashri road tunnel. 1. Chenani- Nashri tunnel is not only the longest road tunnel in India but it is the Asia’s longest road tunnel with a length of 9 kms and is constructed with all modern facilities used by the Engineers and is not wrong if I say the construction of this tunnel is considered as the Engineers excellence. 2. 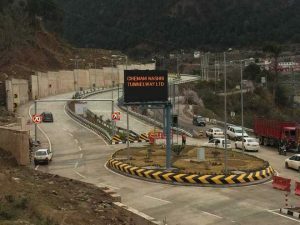 Chenani- Nashri road tunnel is a 2 lane road tunnel constructed on Jammu – Srinagar Highway NH44 and by the construction of this road tunnel the distance between Jammu and Srinagar is reduced by 30 km and travel time is cut by two hours. This tunnel is also the part of 293-km long four-laning of the Jammu-Srinagar National Highway. 3. The construction of this tunnel started in the year 2011 and from then the construction took 6 years but before briinging this tunnel open for everyone Engineer’s and other workers at the sight face lot of challenges to construct a tunnel running through the Himalayas. Finally after crossing all the challenges Chenani-Nashri tunnel was inaugurated by our honorable Prime Minister Narendra Modi on 2 April 2017. 5. This tunnel is also named as Patnitop tunnel which is the eye-catching tourist destination in Jammu & Kashmir. 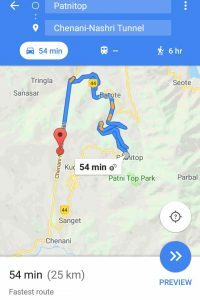 Remember if you are visiting to Patnitop then you have to reach by old route of Jammu-Srinagar Highway because to travel through this tunnel will By-pass Kud, Patnitop and Batote on the Jammu-Srinagar national highway. 6. This tunnel comprises of two tubes with special lane for exigencies with each tube has a diameter of 13 metres, while sideway has a diameter of 6 metres. You will also see 6,000 LED multiple colour lights installed inside the tunnel which will not feel you bore. 7. Since the length of tunnel is 9 km you will see air quality monitors at every 12 metres which will keep a check on carbon dioxide. 8. This tunnel is constructed with Automated Integrated Traffic Control System which will monitor traffic round-the-clock and also having CCTV’s camera inside the tunnel. Truly saying I had no idea to visit Chenani-Nashri Tunnel because I went to a 1 night 2 day trip at Patnitop from Jammu city with my family which I enjoyed a lot and Patnitop is my one of the popular hill stations in North India. So, while going to Patnitop I had to skip to travel through this tunnel because this tunnel By-pass Patnitop. So on the day of checkout from the hotel I discussed with my family to go to Jammu city by longer route using Patnitop-Batote-Nashri tunnel and Batote comes after Patnitop when we travel to Srinagar. 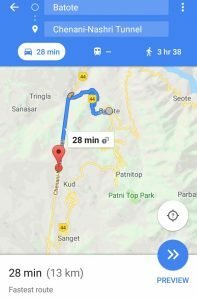 The distance between Patnitop and Batote is 12 kms and from Batote to Nashri tunnel is also 12 kms so in total its 24 kms. 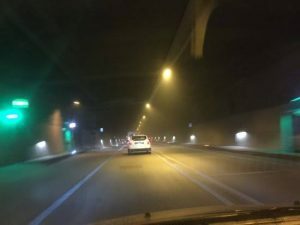 I was driving the car and stopped just 1 km before the tunnel and handed the driving seat to my father and I was ready with all my photography with my tripod to capture the stills and videos. But my experience of visiting 9 km long road tunnel was amazing. 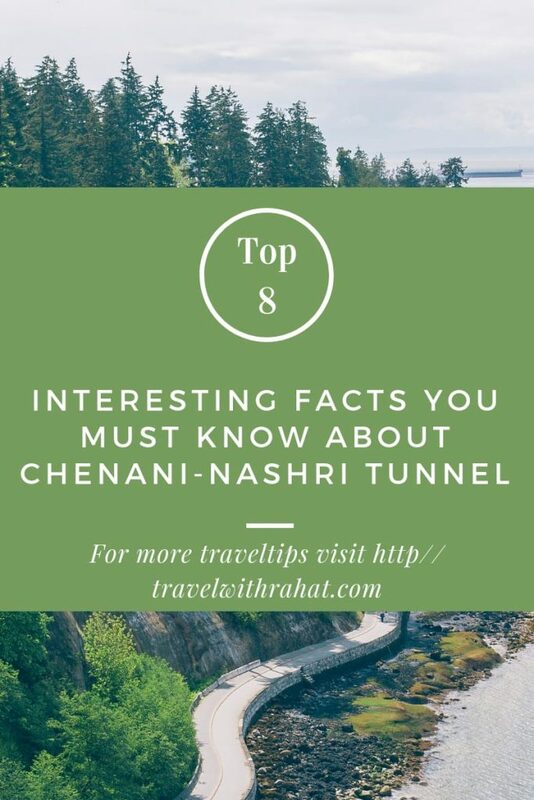 In the end, I hope you like my blog and you will definitely add to explore Chenani-Nashri the Asia’s longest road tunnel in your list.